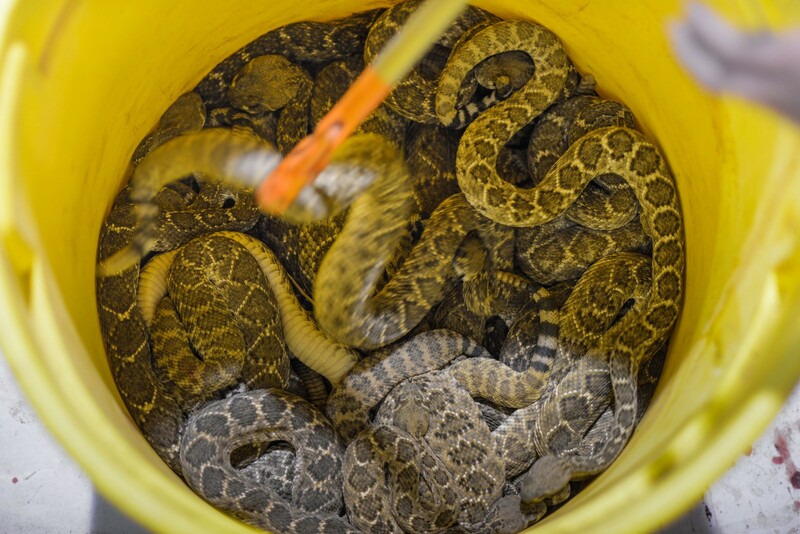 Science does not support claims that roundups are required to prevent rattlesnake overpopulation. 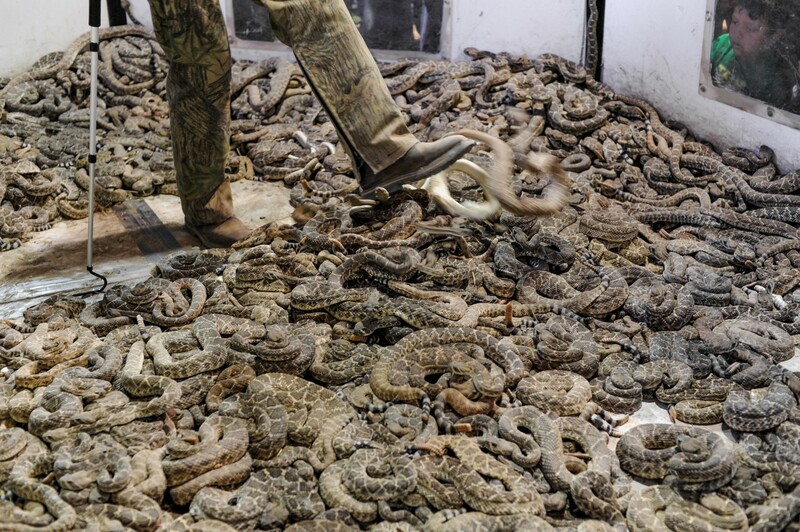 Like other wild animals with natural predators, snake populations are maintained by prey abundance (rodents) and levels of predation and disease. 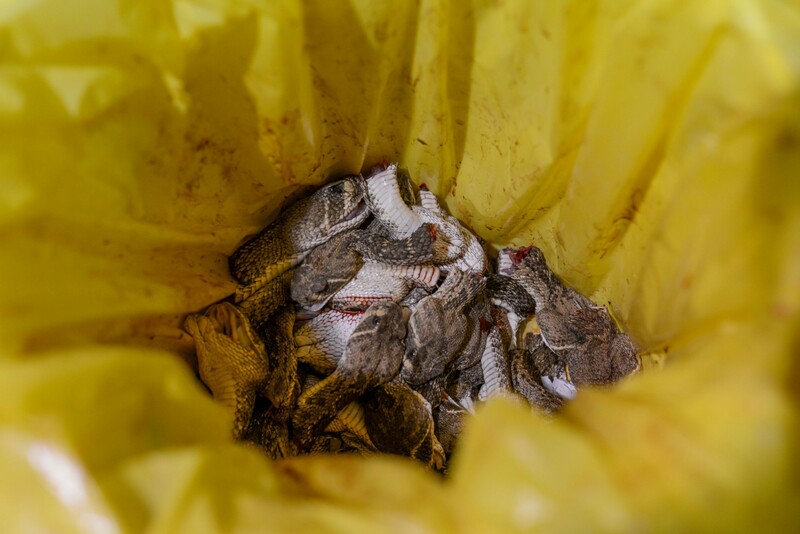 Unlike traditional game hunting, there is no monitoring or reporting to regulate this slaughter of snakes, which has likely contributed to the decline in some rattlesnake species. Learn more. 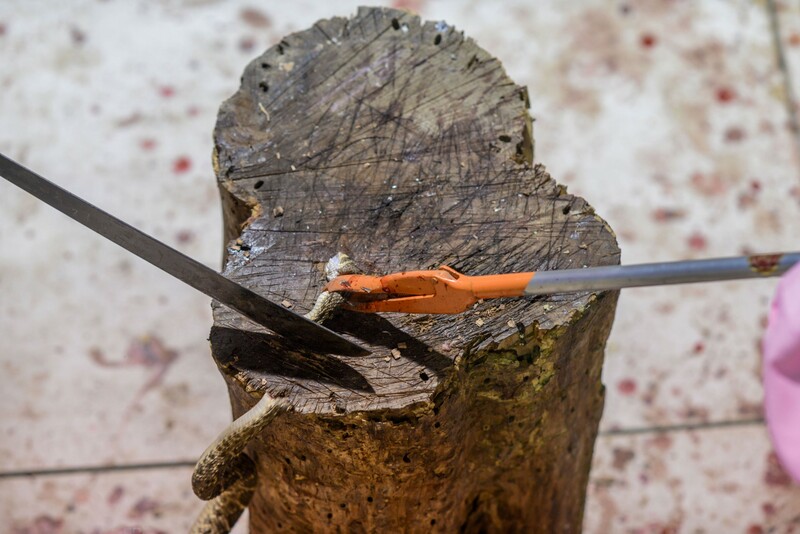 shot in the head with a bolt gun, and decapitated by machete. and skinless bodies writhing long after decapitation. 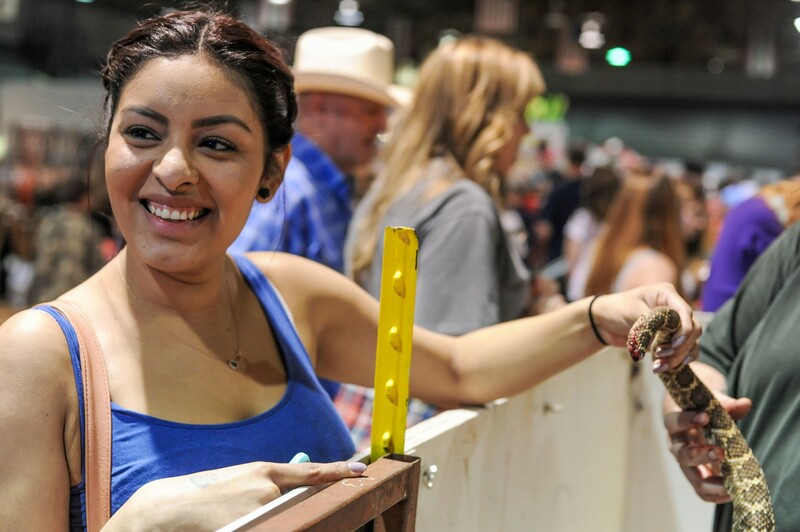 Learn more about the feature-length documentary, Rounding Up Sweetwater. 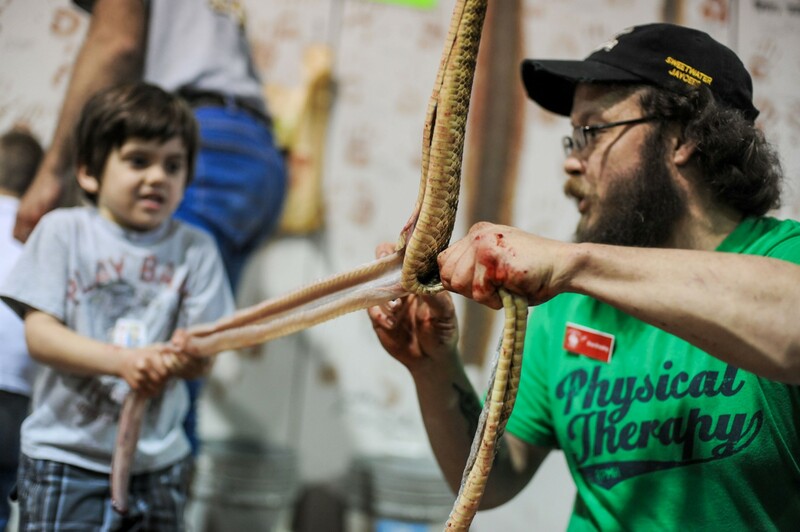 Spread the word: #StopSnakeSlaughter at Rattlesnake Roundups. 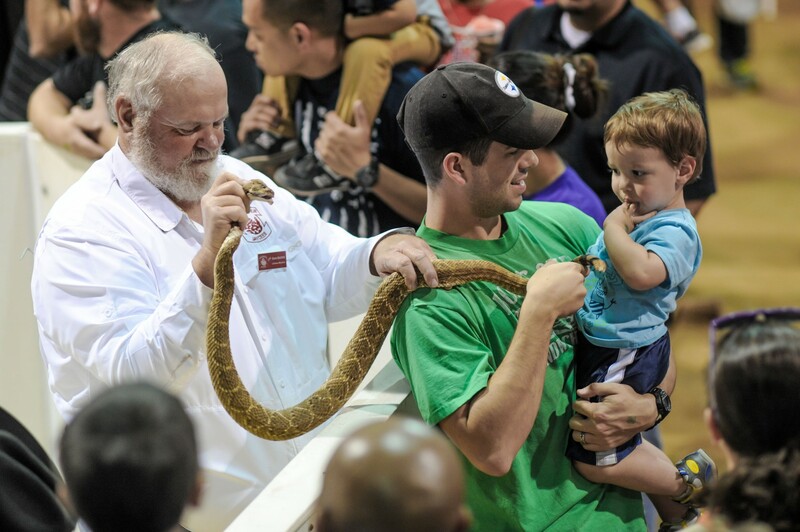 Send a letter to the Sweetwater Jaycees urging them to Stop Snake Slaugther at the Sweetwater Rattlesnake Roundup. 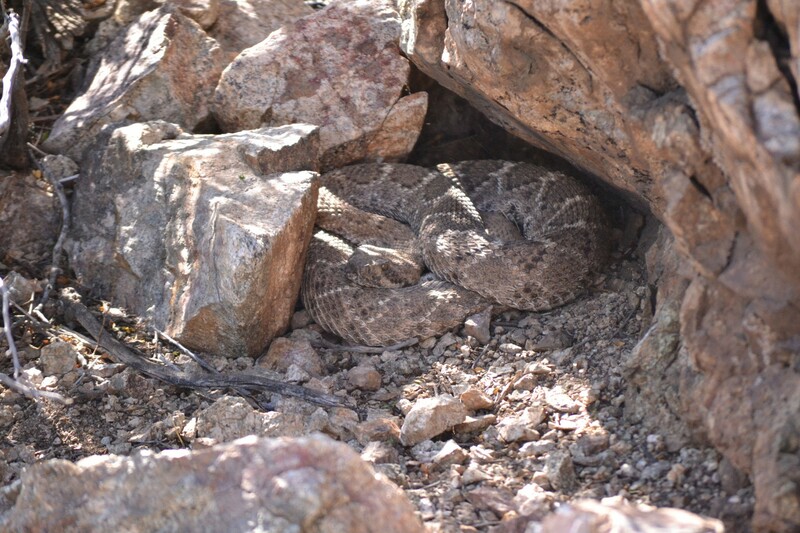 "Every rattlesnake that is killed has an impact on the ecosystem, and future generations of humans will look back at history, stunned that such environmental abuse was allowed to continue unabated." “Removing many tons of helpful predators from nature annually is unscientific, unjustified and unsustainable." 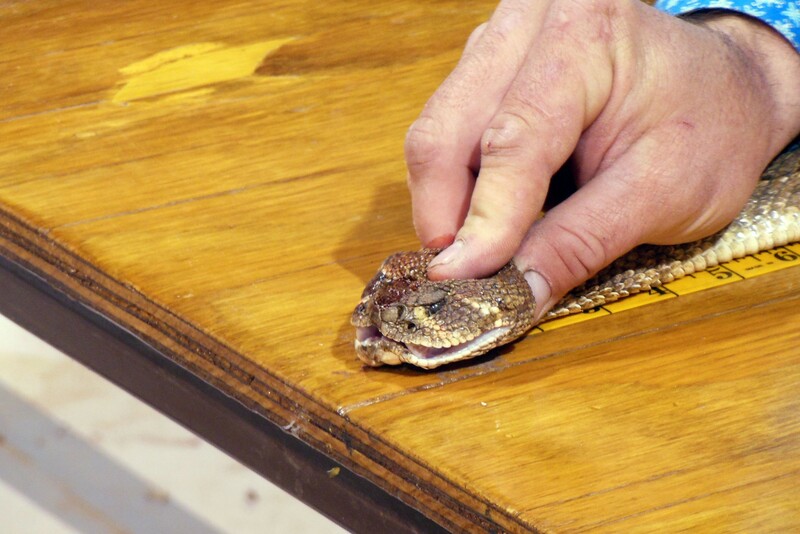 Read more statements from experts about rattlesnake roundups. 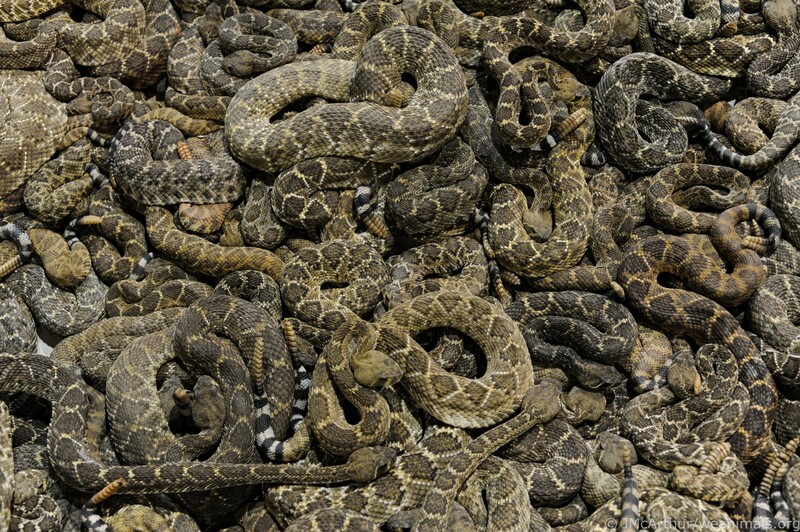 Rattlesnakes give birth to live babies and take care of their kids.